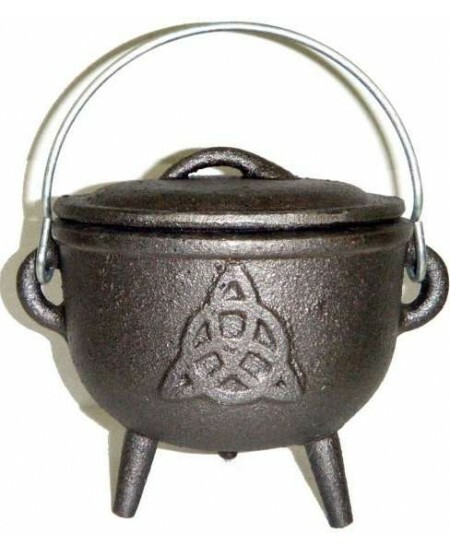 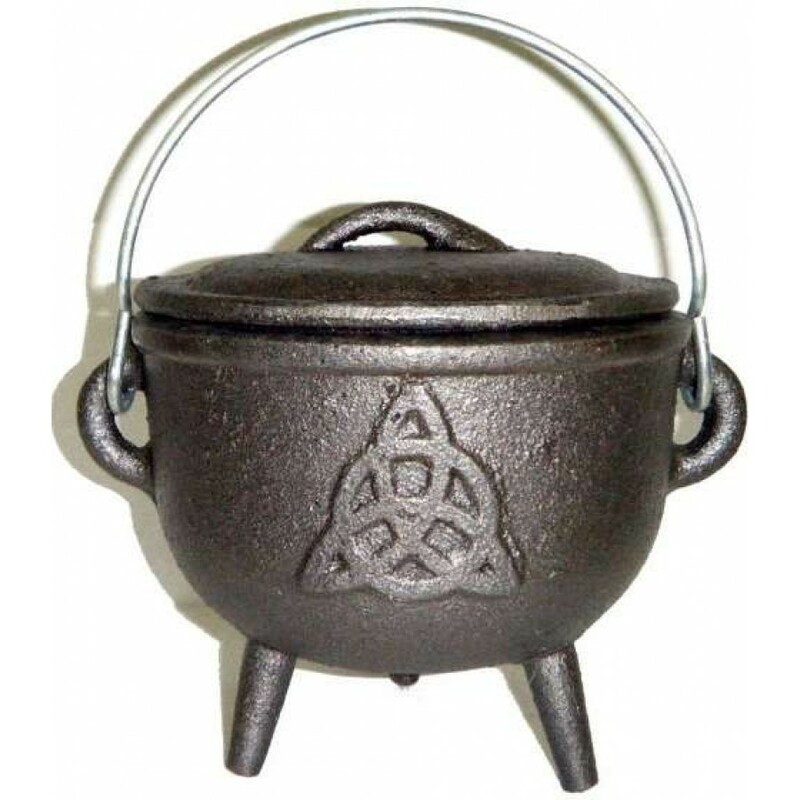 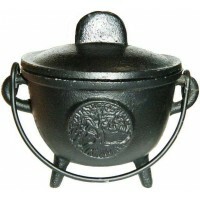 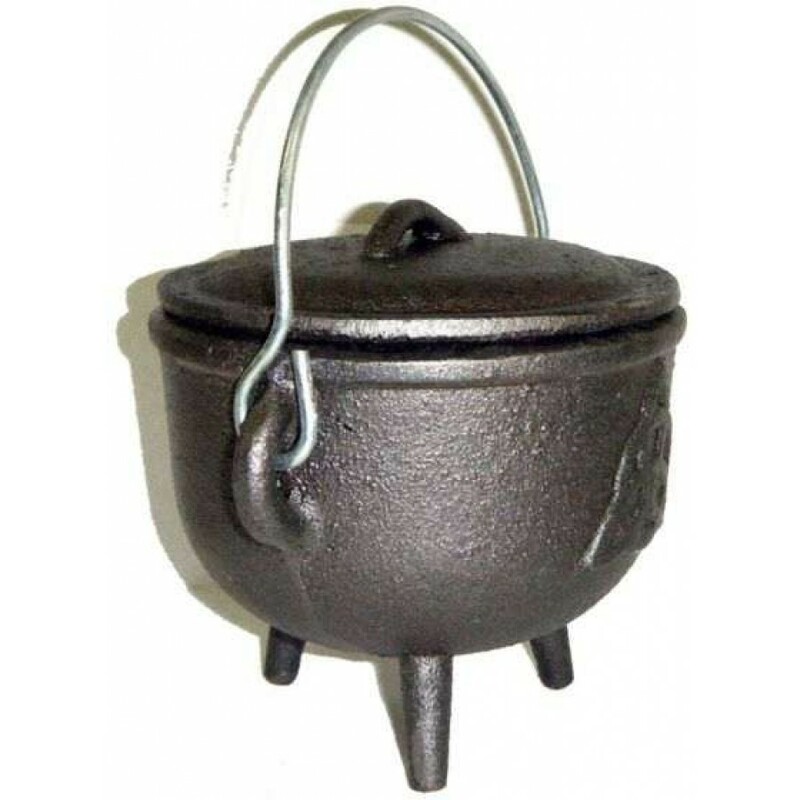 A perfect Witches Cauldron for your altar, this 4 1/2 inch high cast iron cauldron has a raised Triquetra symbol on the side. 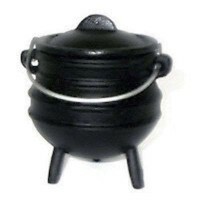 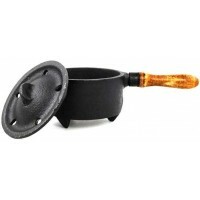 Complete with lid and handle, this 4 1/2 inch tall cast iron cauldron has traditional 3 legs and raised design. 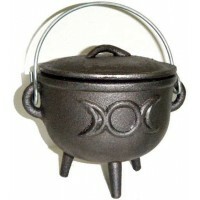 It holds about 12 ounces - great for potions, altar and spell work, incense and more. Not food safe so do not ingest brews. 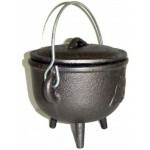 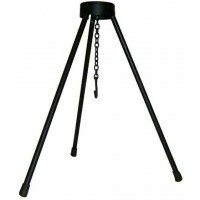 Item Number: RV-10057 | Approximate Size (Inches): 4.00 wide x 4.00 deep x 4.50 high | Approximate Shipping Weight: 3.00 lbs.